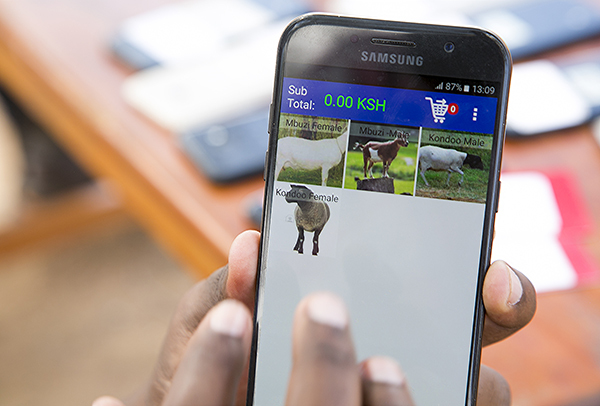 This month, CRS beneficiaries will make their one millionth transaction—withdrawing cash or buying goods with vouchers—through the Cash and Asset Transfer Platform, or CAT. CAT is a beneficiary data management and programming software customized for CRS. The milestone of 1 million transactions reflects significant growth in the use of CAT by country programs in both emergency and development programming, where cash and vouchers provided to people in need are exchanged for vital food, shelter assistance, water, and other life-saving goods like mosquito nets. 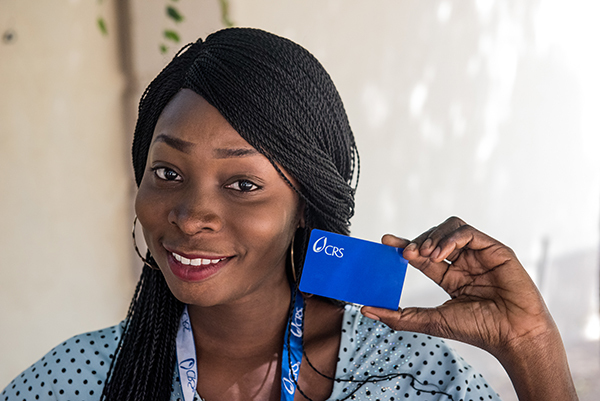 The cash and voucher transfers reflect CRS’ increasingly market-based approach to programming, supporting beneficiary choice and local economies. For this, CAT brings even greater ease and opportunity for scale, effectiveness, protection of data, and impact. Data collection and management: CAT supports program teams to collect, analyze, and manage data during each phase of a program: tracking beneficiary registration and MEAL, in-kind distributions, cash and voucher transactions, and activity attendance. Cash and voucher transfers: Through CAT, program teams can disburse cash and vouchers to beneficiary cards, bank accounts, or mobile money accounts, and print paper vouchers. CAT can link with local or international Financial Service Providers (FSPs) to send data, manage approvals, and track financial transactions between CRS, FSPs, and beneficiaries. Beneficiary identify cards: Users can print identity cards for easy swiping to electronically register training attendance, in-kind distribution reception, and to access electronic cash transfers or voucher sales from participating local agents or vendors. In country programs with frequent or protracted crises, CAT can be pre-positioned for rapid delivery of market-based aid. In crises, markets often bounce back faster than humanitarian organizations can establish in-kind supply chains, so market-based responses may be faster than traditional in-kind delivery. Plus, market-based responses like cash or vouchers allow beneficiaries the dignity of choice as they purchase aid that makes the most sense for their families. Multiplier effects of market-based responses spread aid dollars out to recirculate within impacted communities. Prepositioning CAT for cash responses will put CRS at a strategic advantage to get aid out quickly in emergencies. HRD technical advisors can support country programs to design cash preparedness strategies using CAT. Reach out to Dina Brick of the Market-Based Rapid Response and Recovery Team to learn more. Learn more about strategic uses of CAT. Already using CAT? Get peer support from other CRS CAT users in the CAT Users Yammer Group. Track help tickets through RedMine. Want to try it? Both HRD and GKIM have added technical support staff who can help program teams design, launch, and implement with CAT. Fill out GKIM’s Project Support Form to get started. Security by default - CAT includes security features built into the system by the software developers, including data protection and segregation of duties customizations created specifically for CRS. Policies and procedures - CRS is establishing a set of policies, procedures, and best practices for using CAT that holds us accountable to data protection and beneficiary privacy. Privacy impact assessments - Each program using CAT is encouraged to self-assess threats to data in their context, and establish an action plan to mitigate risks. What about the recent data breach? Is CAT compromised? In late 2017, a CRS country program's CAT platform was hacked by a competitor to the CAT service provider. The hack exploited a weak password and poor user management at the platform level. While the data breach was due to user error—the RedRose ONEsystem was not compromised—the incident became a rallying point to highlight the need for stronger data protection in the humanitarian sector. After ensuring that no beneficiary data was at risk, CRS chose to treat the data breach as a critical lesson learned and call to action to increase and strengthen data protection measures already underway. In addition to built-in security features and data protection policy, CRS created program guidance to show what you can do to protect data at the program level. Learn more about Data Protection and CAT. Eleven CRS country programs from Guatemala to Somalia to the Philippines have used the CAT Platform to support 109,000 families—more than half a million people. Early CRS adopters contributed design and policy recommendations that shaped CAT into a more effective tool. CAT will continue to evolve as CRS users find creative new ways to use it, suggest solutions to bottlenecks, and identify best practices to share.